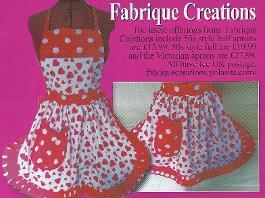 Fabrique Creations is a fabric and haberdashery shop in Skegness, Lincolnshire. We stock possibly the largest range of fabrics and haberdashery items in Skegness. We also offer repairs and alterations service. We replace zips in coats and trousers (& jeans) and a whole range of other clothing repairs and alterations. 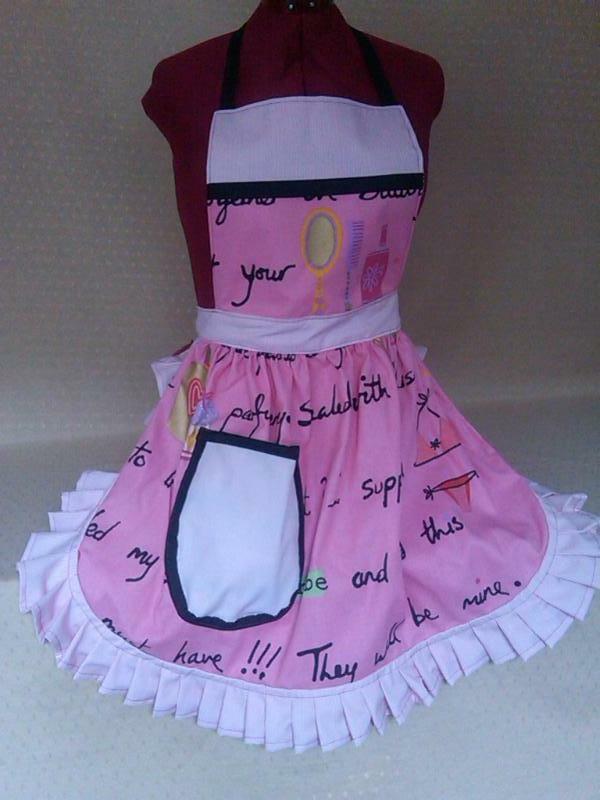 Handmade aprons and other items that are good quality and individual. We will make anything out of fabric. Our mission is to try and make everything bright, colourful and pretty. Just because something has to be functional doesn't mean it has to be dull and boring. Our "About Us" page will tell you a little about us and the things we do, please take a look. Then we have a "Gallery" section where you can view photos of all our creations. 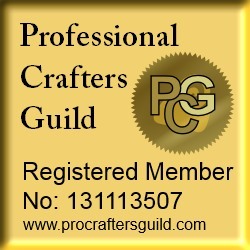 Our "Shop" page will take you to our various online stores, we sell on Amazon, eBay, Etsy, Folksy, WowThankYou and from this site, payments are through Paypal or you are welcome to phone us with your credit / debit card information where we will process your order manually. The "Events" page will tell you about any upcoming shows we will be attending (and have attended previously). We have a "Stage Costumes" page where you can see stage and show costumes we have made. There you can find our email address to send for more information if required. The "Repairs" page gives more information about our repairs & alteration service. Then we have our "Links" page where we link to our favourite sites. If you would like your site adding, just send us an email from the page. Then finally, we have our "Contact Us" page which should be self explanatory. We are a small business that specialises in handmade vintage, retro, style aprons and other items that are good quality and individual. Diane's grandma taught her to sew when she was young and it's something she has always loved. She went to Art College when she left school but concentrated on jewellery and went on to work in the trade for over 15 years. 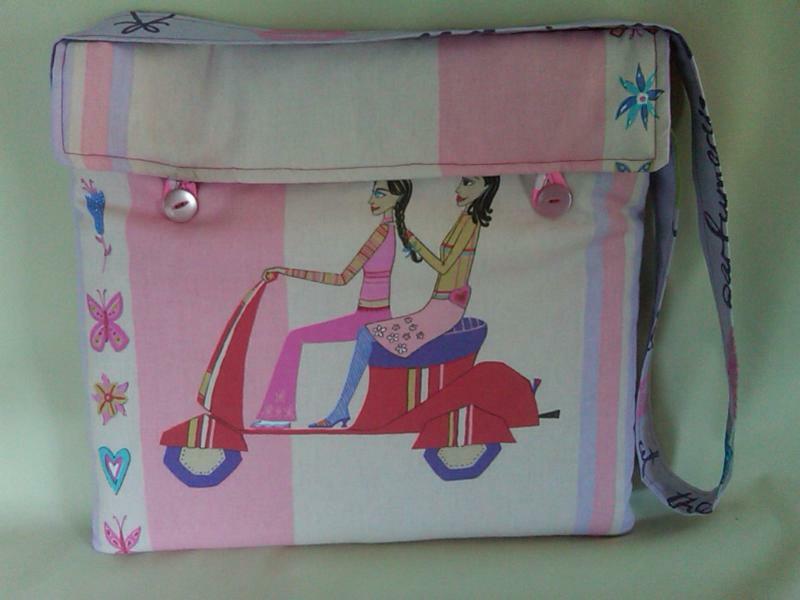 The sewing was put on the back burner although she always seemed to have a project of some sort or other on the go. She was looking for a change of direction following an accident a few years ago when a friend asked her to make 6 “good old fashioned pinnys” for a themed tea room she ran. Our friend knew Diane loved sewing as she used to help out with the costumes for the local amateur dramatic society. She wanted something pretty but functional. The idea was born from there. Diane ran up the pinnys for her and got a fantastic response. We then bought some pretty fabrics and decided to have a go at making and selling them. This is when Duncan came in and came up with the idea of selling them online and Fabrique Creations was born. He runs that side of things totally as Diane is far happier sewing than typing. We made a few different aprons and put them online and things grew from there. We decided to make practical things but wanted everything to be bright and pretty, just because its practical doesn't mean it has to be dull and boring. We noticed vintage items seemed to be much more “fun” especially from around the 40s and 50s. Our aim is to bring a bit of colour into everyday life. 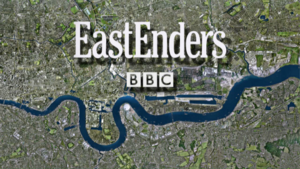 We now have many personal and business customers and our handmade aprons and laptop bags have been featured in a popular TV series and a popular TV soap (see opposite) and several photo shoots. We also expanded the range to include patchwork quilts, hair accessories, cushion covers, beanbag covers and fabric jewellery. In 2012, we decided to meet some of our customers and did our first show, Kustom Kulture Blastoff, which was great fun and we thoroughly enjoyed it and we returned again in 2013 and 2014. We are also looking to keep expanding our range of products but want to keep the vintage feel to the things we make and are always on the lookout for new ideas. 2015 saw us open our workshop and showroom in Skegness where you are welcome to visit. We have also been featured in a magazine that is published worldwide, please click HERE or HERE or on one of the pictures below to see the full page feature. Please download our flyers and pass amongst your friends. We accept debit/credit card payments. 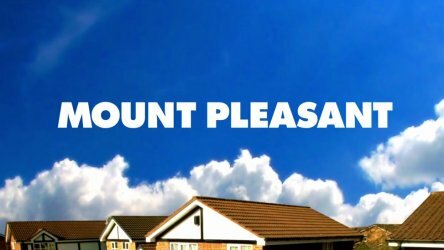 Our handmade laptop bag has been featured in series 2 of Sky Livings TV series, Mount Pleasant. Used by Denise (Ainsley Howard) showing it has other uses too (ie. 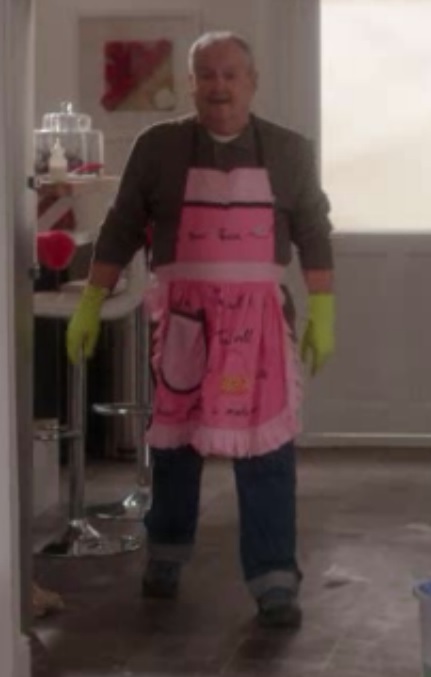 a baby bag) shown in episodes 1 & 2. 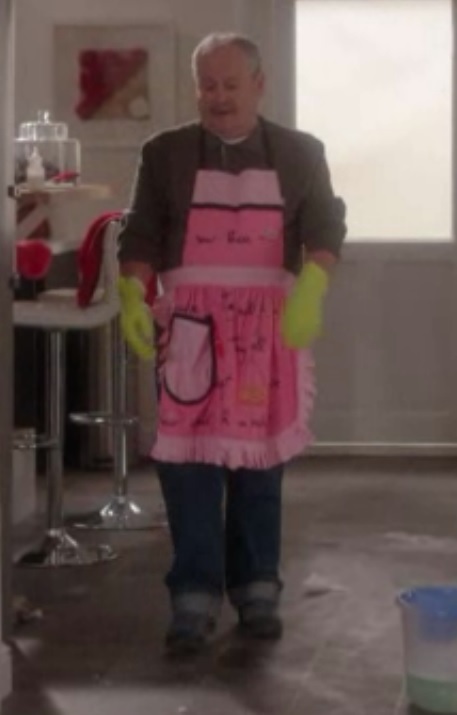 Episodes 4 and 6 sees Bianca (Sian Reeves) wearing the Fabrique Creations designed and made apron showing it can also be used as a half apron / pinny. 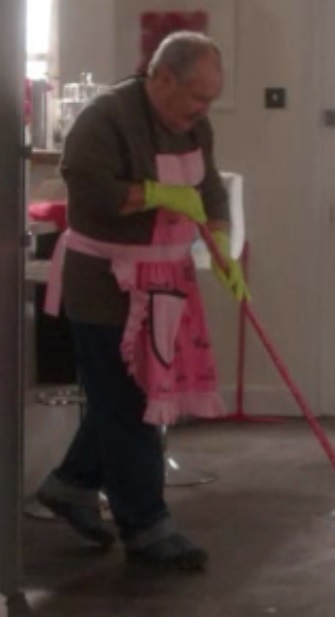 Series 4, episode 3 sees Barry (Bobby Ball) wearing the same apron while cleaning in Bianca's house.